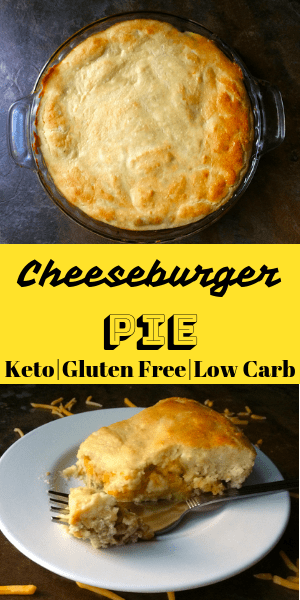 This recipe for Keto Cheeseburger Pie is an adaption of the recipe that was on the Bisquick box (not sure if it still on the box, but that is where I got it from). 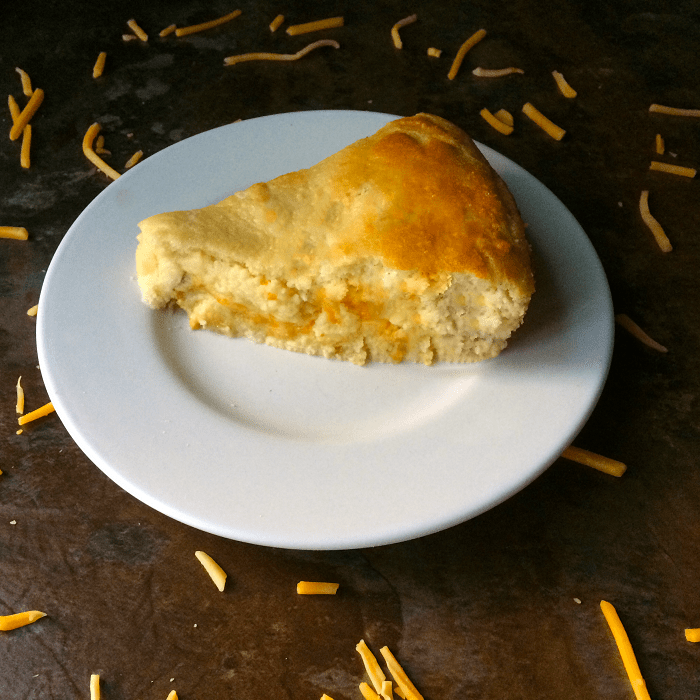 I used to make this recipe a lot when I ate carbs because my kids loved it. What is not to love? 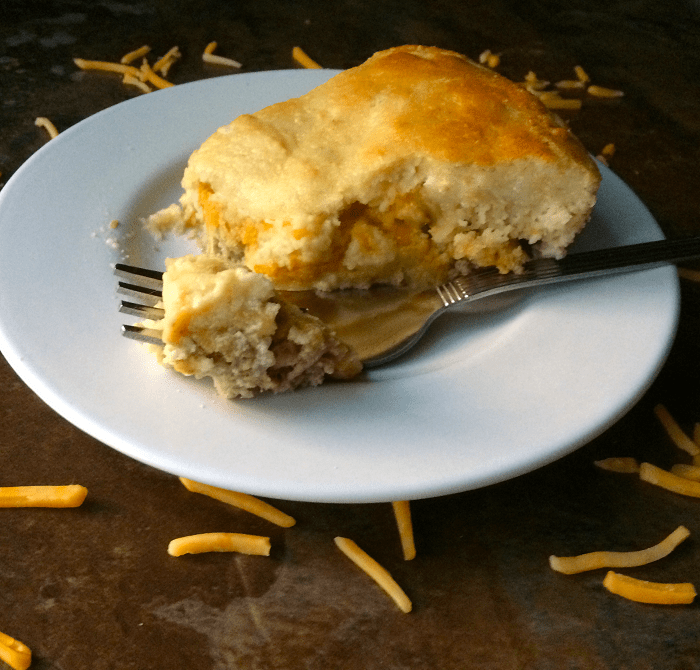 It is like a cheeseburger with a biscuit topping. That is a winner in my book and it is super easy to boot. I do make this with ground turkey because I do not like all the grease from hamburger meat, but you can certainly use hamburger meat with this. That would be really good too. Just add a little fat like butter if you use turkey meat to make it more keto friendly. I also make a vegetarian version of this. So every time I make this for dinner I have to make one with meat and one vegetarian because my husband and son eat do not really eat meat. If you wanted to make this vegetarian you could certainly do that just by replacing the meat with a meat alternative and make the rest of it just as you normally would. This is a recipe that you can make any day of the week or meal prep to have a quick and easy dinner that everyone will love. Furthermore, you could even cook up the meat and onion and freeze it, then when you want to make this just microwave the meat until it is hot. 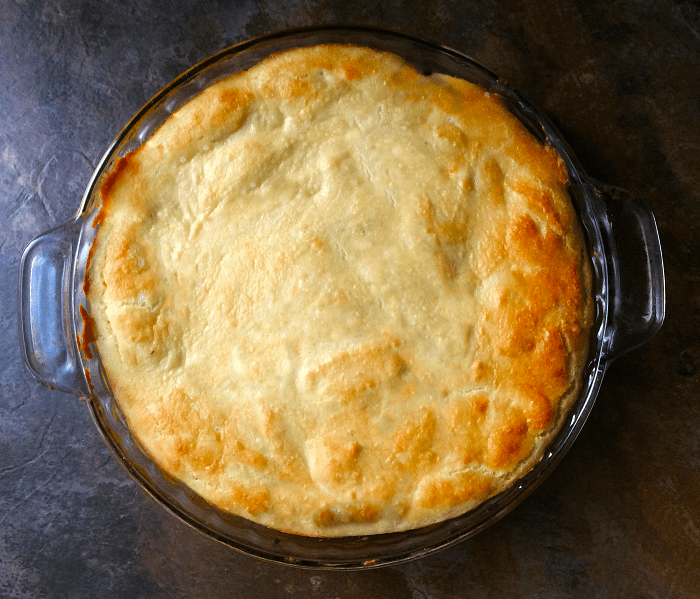 Pour into the pie plate and then finish the rest of the recipe. I have been cooking up ground meat and freezing it for quick and easy dinners for years. I also do this with taco seasoning for quick taco dinners. It just makes it much easier and who doesn’t like easy dinners. Try some of our other dinner recipes such as Sausage Peppers and Onions, Keto Pigs in a Blanket, and Best Keto Pizza just to name a few. Nutrition for the recipe is on My Fitness Pal just search Certainlyketo-Keto Cheeseburger Pie. Grease a pie plate with cooking spray and set aside. Brown ground meat with the chopped onion. You can use hamburger meat or ground turkey. If you use hamburger meat, drain the grease off on a paper towel after cooking. I prefer using ground turkey because I do not like all the extra grease. After meat and onion are fully cooked (and drained if you are are using hamburger), put into the greased pie plate and sprinkle shredded cheese over the meat. Put all of the biscuit top ingredients in a medium bowl and mix well with a wooden spoon. Pour the biscuit top mixture over the top of meat and cheese and spread to the edges so that the whole top is covered. Bake for 20-25 minutes or until golden brown on top. Cut and serve hot. Serve with "no sugar added" ketchup or barbecue sauce. Nutrition is using ground beef, if you use turkey please adjust these figures. I just wanted to list the most calories and fat for this recipe. It would be less of both if using turkey. Very good recipe! We added porta Bella mushrooms and cream cheese to the meat. Yum! I’m not sure if you intended to use baking soda or baking powder. I used baking powder. The recipe is correct with using baking soda because I also included apple cider vinegar. I am sure that was very delicious with the addition of the mushrooms and cream cheese. Good to know! I was out of baking soda and the link was to baking powder so I took a chance, lol. Thank you for the great recipe!